Lighting rigs cost a lot of money, and you need three or more to light a simple scene. Pop-up flashes are usually only good for a little fill light, and a quality flash head can set you back hundreds of dollars and still be limited in lighting up your photographic subject. Learning the best natural light photography tips helps you to make the best of available light wherever you find an interesting subject to photograph. The hour just after or just before sunrise is known as the Golden Hour. If you like to shoot outdoor portraits, this is number one of the natural light photography tips. It can also make for incredible landscape shots. The name comes from the golden cast of the light that warms the color saturation of your images that are shot at this time. You only have a short shooting window, so plan accordingly. Large collapsible reflectors fold up to the size of a serving plate. They are available in different sizes and even shapes. You can get ones that have a white, silver and gold reflector as well as a translucent shade to filter sunlight. Portraits look great using the gold reflective surface. If you want to preserve natural color, use the white reflector; if you need more light, try the silver; and if the sun is too bright, use the translucent sun shade. 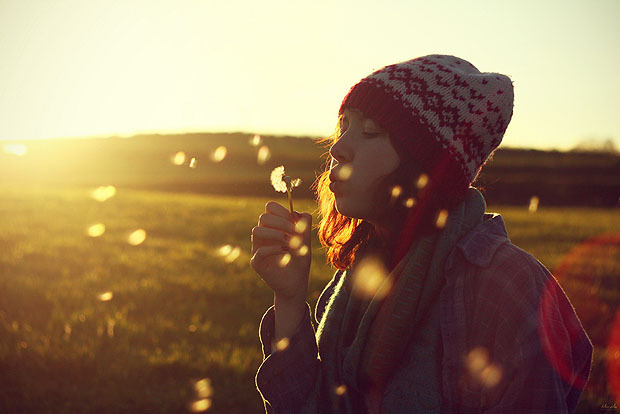 This is one of the natural light photography tips that is underused by amateurs. The light streaming in from a window can help you produce some incredible images from still lifes to portraits. Grand churches, cozy homes and even dilapidated buildings all present opportunities for capturing interesting images when you can catch the sun’s rays streaming through a window. Louvered blinds can add to an effect. Adding interesting props and letting blur or light fall off creates drama to your images. This makes window light a regular go-to in your bag of natural light photography tips and tricks. Natural light photography tips can sometimes benefit from a little artificial light. Here is an opportunity to make use of a severely limited popup flash to enhance natural light. If you have a bad weather day where there is a mix of dark along with hints of light in the sky, use it as a backdrop for a moody photo. Shoot a portrait of your subject standing against the dramatic sky from a low position, using a popup for fill light. Dark clothing and a little wind in the hair adds to the drama. Desaturating color can also help. Beware of lightning and getting your camera gear wet. Trees can create interesting light shapes as the leaves and branches filter light. Shooting in shade does require some fill light from a reflector or popup flash to control shadows, but it is one of the natural light photography tips that can add interest to portraits. Wide apertures and even zoom lenses can be used to compress and blur backgrounds, or you can preserve the sharpness and texture of the background for a different look. Natural lighting photography tips require you to look closely and use your imagination. Outdoors, the sun travels across the sky from east to west. The angles of the sun change more rapidly than you think, so you need to shoot quickly. The walls of a building can bounce interesting light onto your subject, making it work like a giant reflector. Depending on the color of the reflected light from a building, you can warm or cool a subject. Light from a white wall behind you can obliterate shadows even if the sun is not in an ideal position. Bokeh tips for natural light photography could be an article by itself. 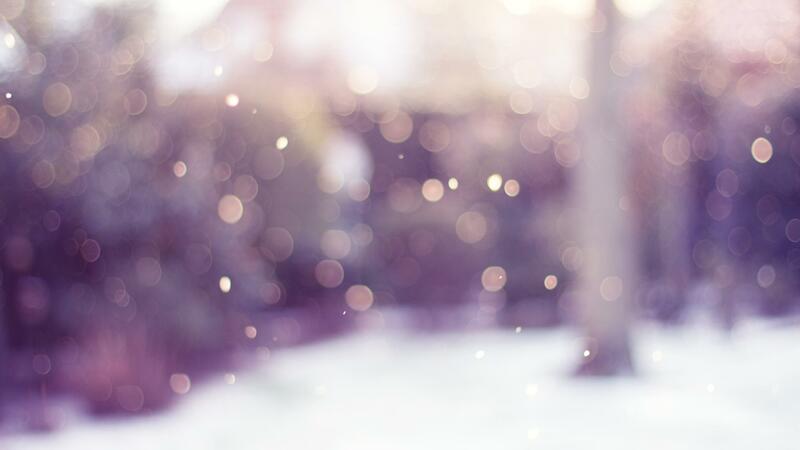 Bokeh is how different lenses cause light shapes to be created in the images. Imagine capturing a portrait subject standing in front of a stand of trees or vegetation that has small areas of bright light popping through. As you widen the aperture and get closer to your subject, the background blurs. A lens that has good bokeh will sculpt the small areas of light in the background into very soft blurred shapes. Some lenses make bokeh that is too sharply defined, and this ruins the effect. One of the first natural light photography tips amateur photographers learn is to shoot with natural light at their backs. However, you can shoot with the sun in front of you to capture some spectacular silhouetted scenes. Trees, people, and objects make great silhouette shapes when you shoot toward a sunset. Imagine capturing a beach sunset with a nice palm tree in the foreground that has a black silhouette shape. You should check the weather and get all your gear and subjects ready, but foggy light can let you create an award-winning image. 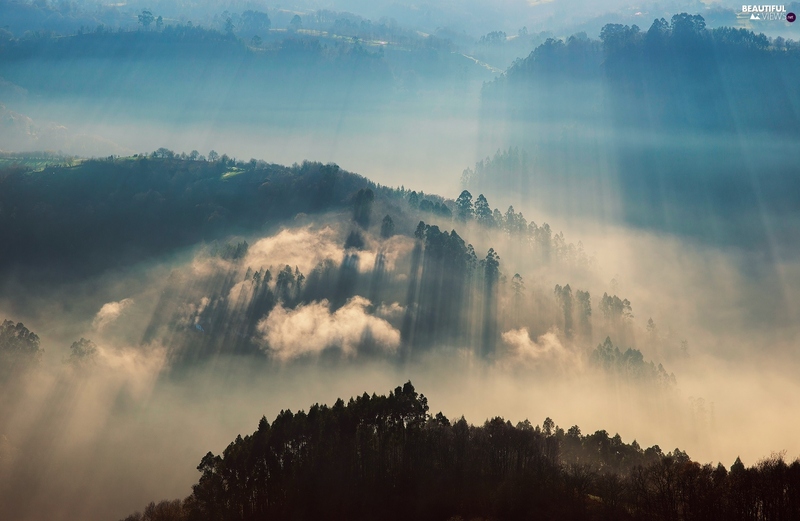 People love to the dreamy effect that fog imparts to photographs. It begins to dissipate quickly just about the time you have enough natural light to capture the images you want. You have to work really quickly and as fog can disappear in less than five minutes as the sun warms things up. Your best option is to return to a spot that made a foggy scene you have seen before and liked and be ready to shoot. Those spectacular portraits are all about the lighting, and light on hair is somewhere at the top of the favorite natural light photography tips. If you are going to rely completely on natural light for a hair highlight image, you need to position your subject where the sunlight hits the hair at the angle you want. This may require you to wait for the sun to get into the right position. Also, you need light in the sky behind you to take away facial shadows or you need to carefully use a flash or reflector so as to not wash out the hair highlighting sunlight. Natural light photography tips and tricks abound and are only limited by your creativity and willingness to experiment. If you are shooting digital images, there is no waste of film, so keep pressing that shutter button until you begin to come up with your own list of natural light photography tips to share with others.